The maximum capacity is 8 adults or the same amount but mixed children / adults. This two bedroom, fully furnished, house with high pitched ceilings is set in the tranquil area between French Bay and Paturoa Bay. It has a fully fitted kitchen as well as open plan lounge dining area and it has recently been renovated throughout. You have your own parking and free wifi. A very nice house in one of Titirangi's best streets. No matter which way you look you have picturesque water views, and a wander through the large manicured section is great for either inspiration or just relaxing. On a still night you will hear the fish splash and the tide run. It is also a great location for active people with beaches and great bush walks close by. Jump off the rock at the end of the street if you are daring or go fishing right next door! Paddle and swim at French Bay Beach. 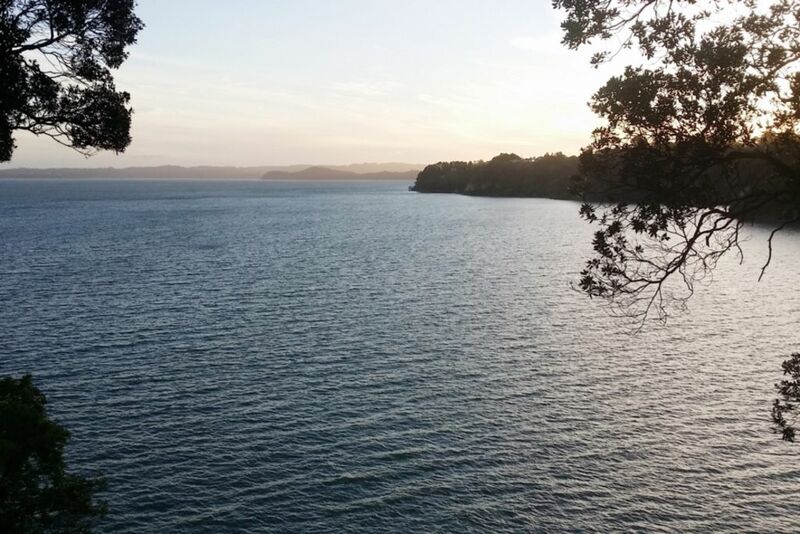 Titirangi, located just 6 minute drive away, offers a great market scene, good restaurants and access to the local theater and art gallery. We do have babysitter service available. There is a plateau below the house from where you can even catch your own fish if you like. You also have your own barbecue place. 12 minutes drive away is the Arataki Visitors Centre (a gateway to the Waitakere Mountain Ranges), Auckland CBD is 20 minutes away. 20 minutes drive to world famous beaches Piha and Karekare or picturesque Huia village. It is the ideal place to enjoy the quiet life whilst having easy access to night life, nature walks and fantastic west coast beaches. If you have general questions or other terms in mind please email us, we are happy to answer all your questions. If you are looking for a longer stay for more than 2 weeks please contact us for special rates. great place to stay ,comfortable excellent amenities, gorgeous view. Comfortable, clean and tidy place to stay. Close to amenities and lovely view. Great spot with tons to do in the area. Very clean, nice and new. Very clean, nice and new. The views are spectacular and in a very quiet area. Would definitely recommend this place to others. The location was perfect, with beautiful views. The location was perfect, with beautiful views. The property was warm, very clean, and had everything you could possibly need.